Teenager Sam Riley and the other conscious survivors of the human race have captured one of the motherships of the Voidborn – they just have no idea how they managed to do it. The invading aliens may have disappeared from London for now, but when they come back they will know what they are up against. In the meantime, however, the human resistance enjoys a brief respite from battle, time in which they can try and learn what the Voidborn are, and also try to figure out how to wake up a whole city of zombified people. Then Sam and the others pick up a transmission – a human voice – and it’s not an automated one. Tracing the source to Edinburgh, Sam leads a mission to find out who else is out there, immune to the control of the Voidborn. Before they find them, however, they have a whole city of ravenous black-eyed primal beasts to contend with. The Voidborn apparently still have some dastardly tricks up their extraterrestrial sleeves, but they might not be the only threat the human survivors have to worry about. 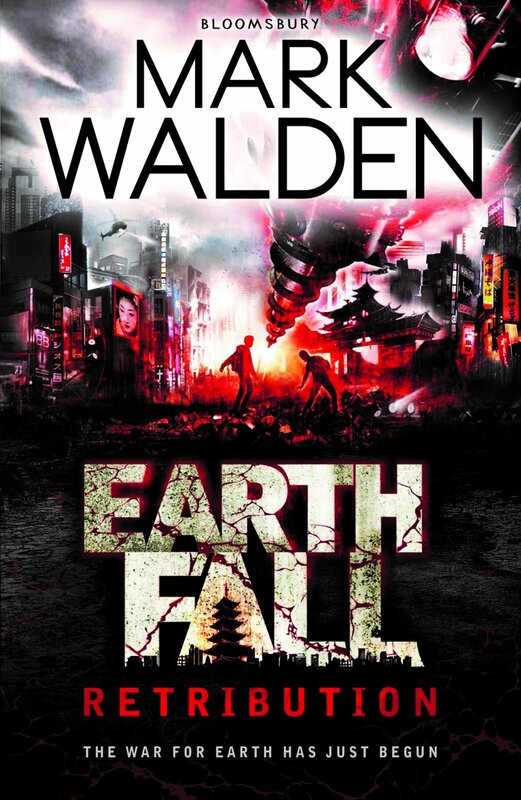 Without the baggage of having to account for the fall of mankind – and then account for how Sam manages to survive on his own – before getting to the juicy part of the story, this sequel is a faster but also more evenly paced adventure than the first Earthfall book. Once again it’s full of secrets, intrigue, double-crosses, last-minute escapes and heroic rescues. Sometimes all but the central characters disappear amidst all the fevered plot shenanigans. Earthfall: Retribution is also darker than the first part. Not all the enemies encountered are unequivocally evil, and the more Sam and his friends understand, the less straightforward everything becomes. The book ends on a cliffhanger, setting up the inevitable – and hopefully barnstorming – conclusion about the final battle for Earth. Drawn by the weeping of an otherwise friendly homeless woman, 14-year-old Kieran discovers a body half-submerged in the river. He knows the man’s been murdered because he’s seen lots of episodes of CSI, so when he revisits the spot a day or so later and finds no police presence – not even a tape cordoning off the scene – he decides to launch an investigation of his own. Unfortunately he ends up multifariously distracted, not least by Tony, his layabout stepdad, and Tony’s bullying son, Ryan. Meanwhile Kieran’s estranged grandmother (who fell out with her daughter when Kieran’s mum fell in with scummy Tony) no longer answers her telephone. A strange man picks up and claims she hasn’t lived there in ages. It might not be a murder, but this is another mystery that Kieran needs to solve, and maybe one that’s just as important to crack. Kim Slater doesn’t reveal what is ‘wrong’ with Kieran, though he is definitely higher functioning than Christopher Boone in The Curious Incident of the Dog in the Night-time . Kieran prizes the observational skills of Sherlock Holmes (and L S Lowry), but whilst he sees everything, he reports, matter-of-factly, things whose true significance he sometimes misses, such as his mum not going out because she has a black eye after a row with Tony. Kieran lives in a black and white world that’s divided between that which he thinks he understands (and therefore accepts) and that which he knows he doesn’t understand (and therefore seeks to). But sometimes he gets it wrong – on both counts. 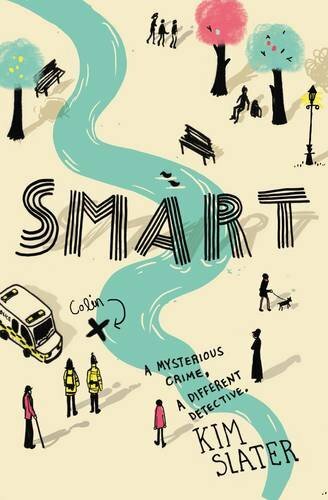 Smart is one of the best novels I’ve read this year. Captivating from the start, the storytelling seems effortless. The arresting opening is as grim as it gets – this is a heartwarming story that heats up gradually. Whilst Tony is the worst kind of monster you find in fiction, one that’s entirely believable, Kieran is an innocent, but at the same time, one characterised too richly to be just a wide-eyed faux naïf. His coming to understand the complexities of the world is a classic coming-of-age plot. That he remains steadfastly non-judgemental throughout, regardless of what happens, might not always be in his own best interests, but is perhaps what will make him a great detective one day. One day Sam Riley is a normal teenager being goaded to tidy his room. The next he is on the run and hiding in sewers after the rest of humanity slips into a vegetative state – up and walking, but completely unresponsive. Meanwhile there are now flying metal jellyfish-like creatures patrolling the skies over London, and they may well be looking for Sam. Sam eventually discovers he is not the last conscious remnant of the human race, and runs into a group of other teenagers much like himself – except these ones seem to have military training, and rocket launchers to go with it. Joining them in a hidden underground shelter, Sam learns of their little guerrilla war against the alien invaders, which they call the Threat. Some of those in the shelter, however, have been keeping a devastating secret since before the Threat first arrived. At times Earthfall reads like the ultimate piece of fan fiction. It proudly wears its influences like a succession of band T-shirts. Giant round alien spacecraft settling over key locations in all the world’s cities reminded me of Independence Day. Semi-robotic flying drones with lethal tendrils reminded me of War of the Worlds. And Doctor Who has been making cheap monsters out of zombified humans for decades. What it lacks in originality it makes up for with a fast-paced story packed with expertly crafted action scenes. You can tell Mark Walden has a background in video games. The book is perfect for distracted teenage boys or any other reluctant readers more likely to switch on a movie than pick up a book. I see a second installment comes out soon, which I will be checking out.